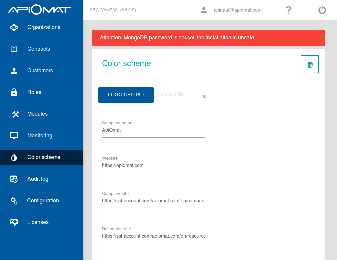 With this configuration site you can customize your ApiOmat Dashboard. 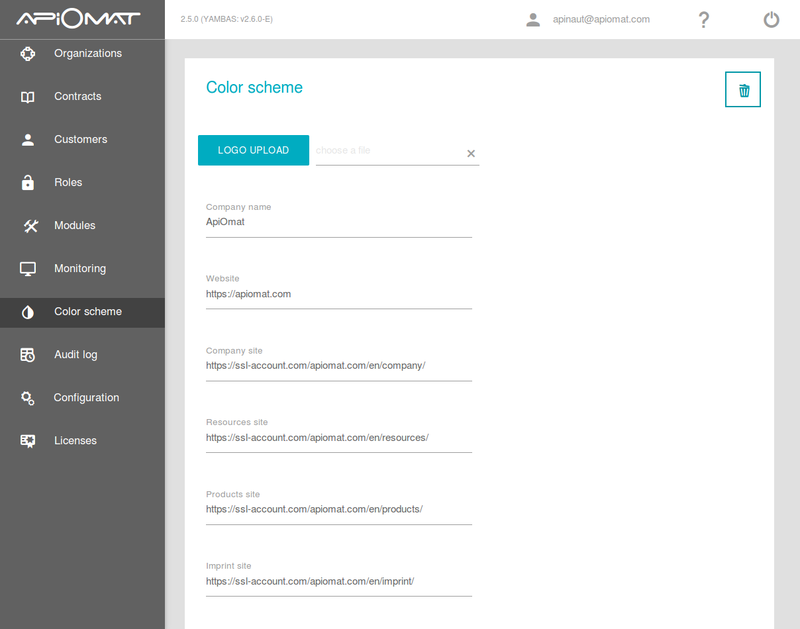 You can replace the ApiOmat logo with the logo of your company, configure displayed links, set the company name and even set the colors of different UI-components. This site is only accessible for the SuperAdmin and is only activated for enterprise and whitelabel installations. 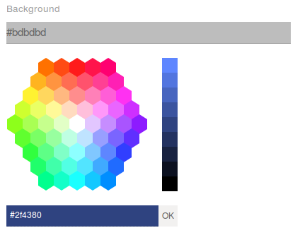 After you chose the color and clicked OK for the specific component, you can save those new UI configurations with the save Button at the bottom. The whole configuration can be reset with the delete button (top right). Here is an example for changing the left menu to blue and setting the active site to a darker blue.